Guy Standeven (1928-1998) was one of the most prolific film and TV extras that ever lived. 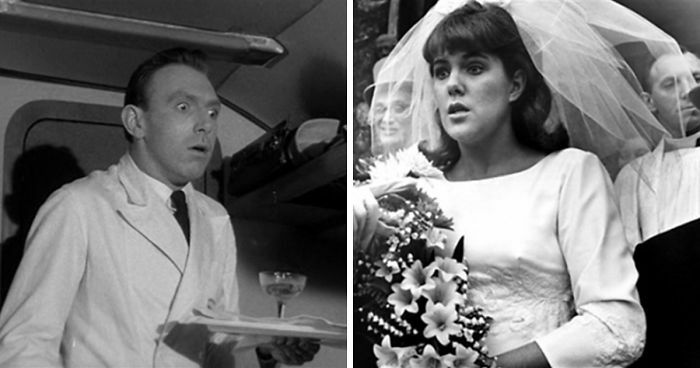 His career in the UK lasted 50 years and he also did Theatre , radio, voice overs, stand-in work and training films. He had many speaking, credited parts in his life but also made literally 100’s of appearances as an extra. These photos show a mans life on screen from 1952-1997. 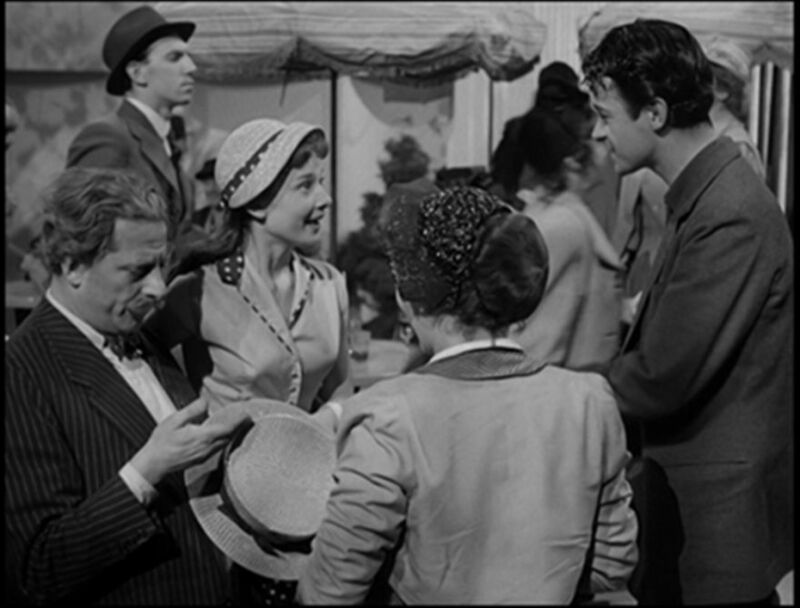 1952: Secret People: His first of many crowd scenes as Man at Fair just above a young Audrey Hepburn. 1956: The Man who Knew Too Much: Directed by Alfred Hitchcock. 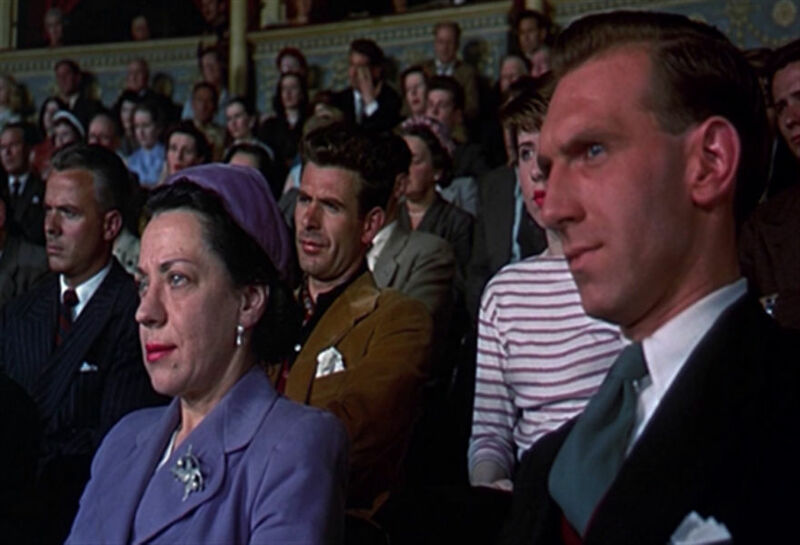 Guy is part of the Albert Hall audience at the films climax. 1956: The Hostage: An early speaking part as Air Traffic Controller Williams in this crime thriller. 1959: The Invisible Man: Startled by the title character in this TV version of the classic tale. 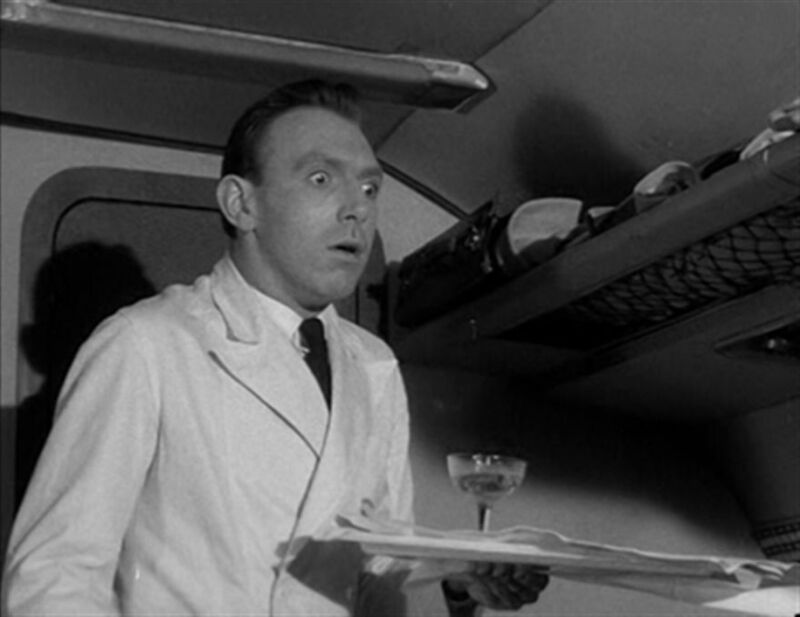 Here Guy played an airline steward. 1959: Jet Storm: Giving a young Richard Attenborough a lift in his taxi. 1960: Four Just Men: One of three appearances he made in this series. He appeared in this episode as the Real Giorgio Rizzi. Georgy Girl: 1966: Having the distinction of marrying Lynne Redgrave to James Mason. 1967: A Challenge for Robin Hood. This big screen version of the legend of the titular hero found Guy as an Apothecary. 1969: The First Churchills: A bewigged Mr Standeven astride a horse as the Elector of Bavaria in this late 60’s mini-series. 1972: A Clockwork Orange: Watching (arms folded) Stanley Kubrick film the final scene. He played man with flowers in this classic adaptation of Anthony Burgess’s book. 1973: The Optimists of Nine Elms: Watching Peter Sellers performing as Old Sam in this forgotten children’s classic. 1974: Craze: A great reaction shot as a milkman who discovers a corpse on his morning rounds in this horror film staring Jack Palance. 1976: The Pink Panther Strikes Again: As a Doctor with the unenviable task of removing shot from Leonard Rossiter’s bottom! Sweeney 2: 1978: A credited speaking role as Logan the bank manager in this, the second, of the big screen spin-offs from the popular TV series. 1980: The Elephant Man: The start of this decade found Guy as a committee member in this David Lynch classic. 1983: The Return of the Jedi: Although he didn’t make the final cut here is Guy on the far right as a rebel council member in the famous briefing room scene. 1985: Blott on the Landcape: Sporting a great pair of sideburns as a shop assistant in this hilarious adaptation of the Tom Sharpe bestseller. 1985: Reunion at Fairborough: In famous company here with Barry Morse, Robert Mitchum and Deborah Kerr. Knightmare: 1987: This was Guy’s most high profile role in the first two series of this children’s TV show. He played a wall monster and, seen here, a troll. 1990: King Ralph: In this scene he has just nearly had his ear sliced off by the King played by John Goodman. 1994: Four Weddings and a Funeral: Quietly smoking his pipe as Andie MacDowell and Hugh Grant discuss how many people they have been ‘intimate’ with. 1994: Harry Enfield and Chums: DJ’s Smashy and Nicey fail to realize that this hospital patient played by Guy has passed away. 1996: Our Friends in the North: Heading towards the end of his career found Guy as a housing committee member in this critically acclaimed TV drama. 1997: Wilde: I like to think that Guy isn’t just bowing here as part of the ‘cast’ of Lady Windermere’s Fan but also he’s receiving applause for his long and prolific career. He was in many other things and although his IMDB lists 262 appearances there are many more not recorded. He died aged 70 the year after this films release. 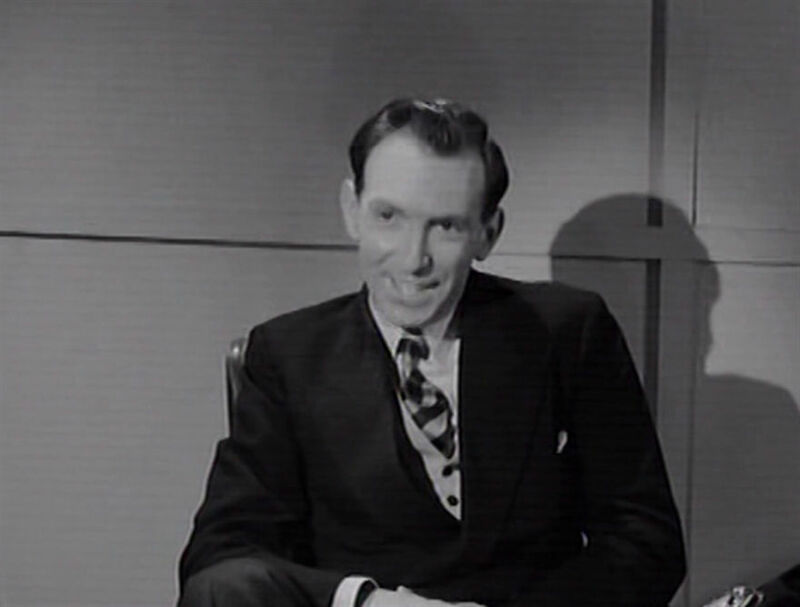 Researching the life and career of the prolific actor/extra Guy Standeven. A very versatile individual. He was clearly a visionary of his day in the film industry, a maverick and a stand out "guy". Spotted Guy Standeven as a ballroom guest in The Shining. He's literally everywhere in everything.